I'd love to say it ain't so, but it is so! 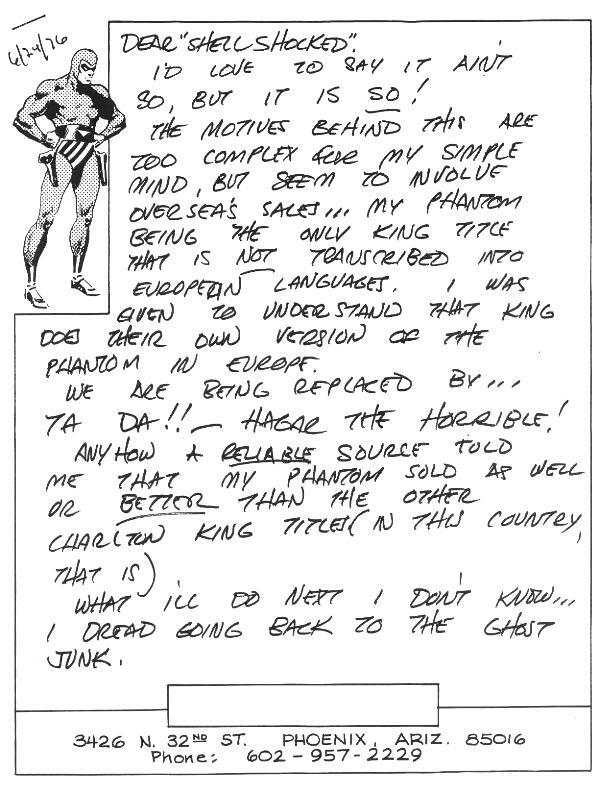 The motives behind this are too complex for my simple mind, but it seems to involve overseas sales... My Phantom being the only King title that is not transcribed into European languages. I was given to understand that King does their own version of the Phantom in Europe. We are being replaced by... ta da!!! -- Hagar the Horrible! 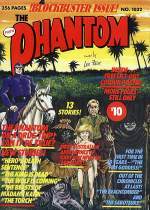 Anyhow, a reliable source told me that my Phantom sold as well or better than the other Charlton King titles (in this country that is). OK, OK, I know that the books didn't have to be translated to be printed in Australia, but it does seem to me that King was paid for one thing and then sold another. What I mean is, unless Charlton was paid by King for the Newton stories and art it doesn't appear that King had any rights to give them to Frew. Something is very fishy here. 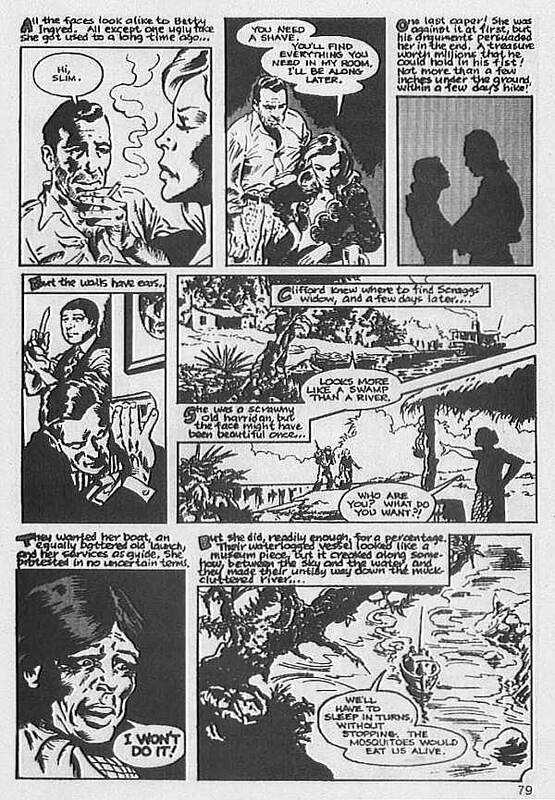 Regardless of whether there is something amiss here, Don's stories have made appearances in three issues of the Frew Phantom. Don's first appearance was in issue #1032, 1993. This mammoth (they called it "!Blockbuster Issue!" was 356 pages long and featured two Newton stores, "The Beasts of Madame Kahn" from issue #68 and "The Torch" from issue #73. It also includes a one page "Introducing Don Newton" by publisher Jim Shepherd that is peppered with inaccurate information. Shepherd got most of his facts wrong, though his appreciation of Don's work is very clear. The next time Don's work would appear in a Frew book was issue #1046, also in 1993. This featured the wonderful "Mystery of Mali Ibex" written by Don and Bill Pearson. 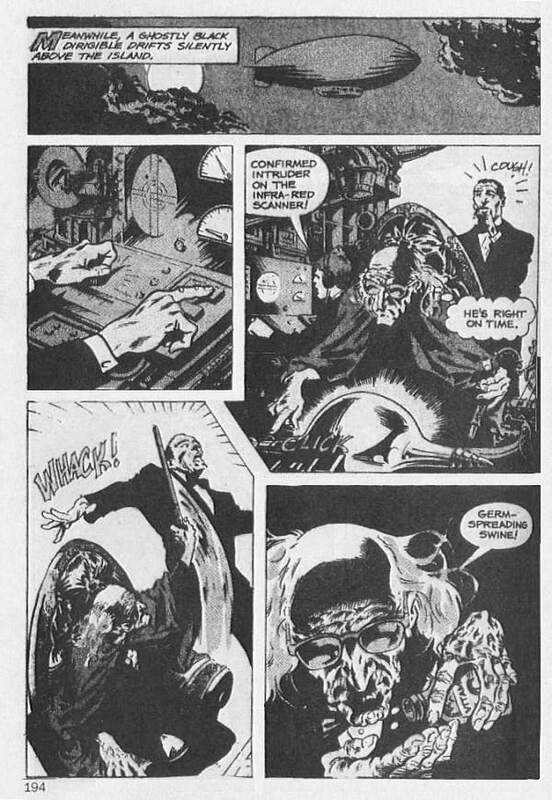 Don's final Frew appearance was in issue #1051, still in 1993, and featured "The Monster of Zanadar," written by Don and John Clark. All three books mention Don Newton on their covers; they made Don a super-star in Australia, nine years after his death. I don't know why Don's other two stories have never been reproduced by Frew, but Phantom fan Bryan Shedden offers this, "A few years ago, I asked Jim about why he hasn't printed those last two Don Newton stories. He explained that he wasn't happy with the printing quality of the first ones, and was waiting until he could get some decent black and white repros or proofs...They got a lot of complaints from ignorant readers and I think this has influenced them more than anything else." 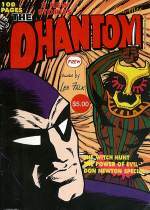 The Phantom #1032 is the first Frew issue to feature Don's work. This mammoth volume was 356 pages in length. The Phantom #1046 featured the classic "Mystery of he Mali Ibex", the Bogart tribute story written by Don and Bill Pearson. The Phantom #1051features the "Monster of Zanadar," written by Don and long-time friend John Clark. Unlike their American counterpart, the Australian comics are in black and white. In issue #1032 the pages are direct copies of the printed book, with all of the original Charlton color turned into grays. I think this looked pretty good, but the powers that be at Frew must have not been too pleased with the outcome. Starting with issue #1046 they scanned the pages, removed all tone from the colors and replaced it with what looks like standard zip. The result is somewhat neater, but loses much of the feel of the original Charlton pages. Printed as shades of gray, the old Charlton colors don't look too bad. In some ways I think they look better than the original Charlton printing, but hey, that's just my opinion. 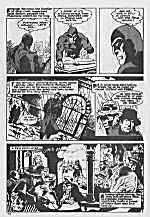 The Phantom #1032 pages were shot directly from the Charlton pages, with the original Charlton colors becoming shades of gray. The Phantom #1046 used s different process, stripping off all the original colors and then adding tone when needed. The Phantom #1046 again. This is almost like looking at the original pages, only a lot less detail is shown. Great Bogart and Bacall here. ON the FOLLOWING PAGES, the incredible artwork of the American artist Don Newton is published in Australia the first time! 'The Beasts of Madame Kahn' and 'The Torch' are perfect examples of his lavish style and his special feel for The Phantom character. 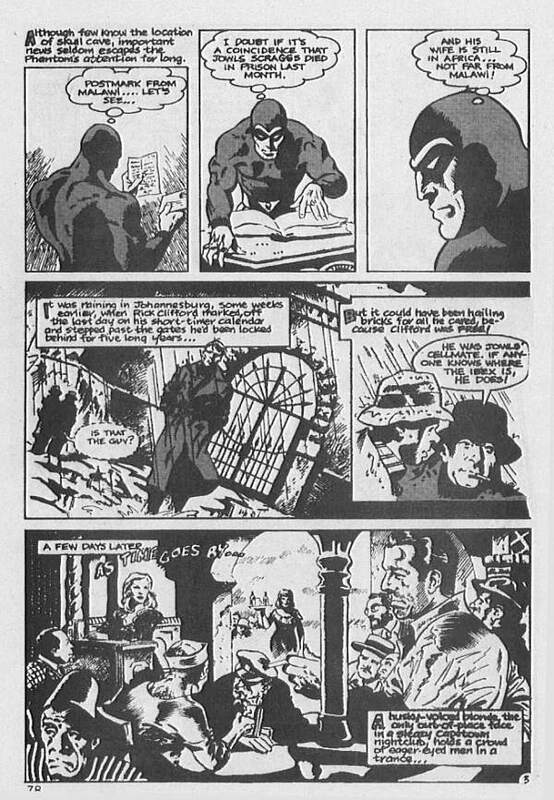 These stories appeased in the old Charlton run of Phantom comic books in the United States and the pity of it all is that Newton drew only a handful of Phantom adventures. Newton's first fulltime job was as an art teacher. And a young one at that. He was largely self-taught and always his skills were honed by studying the works of the master comic strip artists, especially Alex Raymond and Hal Foster. Always infatuated with the comic art form, he gave up teaching the moment he found a place in the comic book publishing industry (Actually, Don was a pro for three or four years before he gave up teaching. BK). Sadly, a great deal of his work was never credited, because for many years, he slaved as an inker or penciler for name artists (This flat out never happened. BK). Some of his best inking work was done on Batman for the D.C. company (Don never inked Batman at DC BK) and a little known fact is that he also dabbled with the old Captain Marvel character. Captain Marvel creator C.C. Beck was always adamant that Newton was one of the most under-sung artists on he American scene. 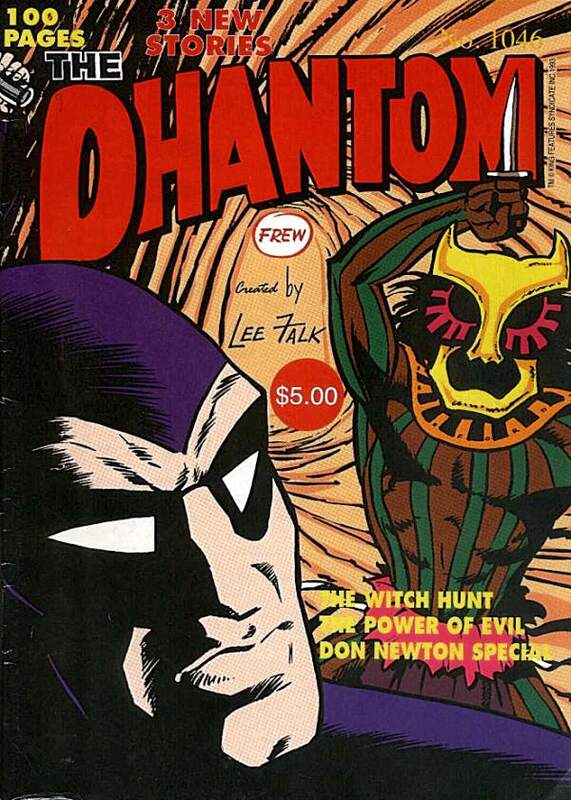 It is arguable that Newton reached his peak when he drew The Phantom for Charlton. Newton's stories appeared- between 1975 and 1977 and were, in order, "Triumph of Evil', 'The Beasts of Madame Kahn', 'The Mystery of the Mali Ibex", "The Monster of Zanadar", "The Torch", and 'The Phantom of 1776." He produced magnificent painted covers for all these issues and today the art would be worth a king's ransom. 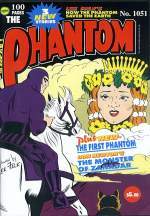 At this point, it is worth listing the order in which The Phantom appeared in comic book form in the United States from 1951 onwards. Harvey Comic Hits published two editions in 1951-52 and Harvey Hits eight comic books in 1957-61. 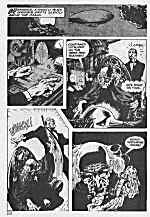 After that, Gold Key issued 17 in the period 1962-66, King Phantom Comics 11 in 1966-67, and in 1966 King Comics published four editions of Mandrake the Magician which featured Phantom stories. Charlton comics published 45 editions in 1969-77 and after a period in which a number of one-off editions by various publishers appeared, DC Comics ran with 13 successive issues 1989-90. Artists moved in and out of the scene. Names like Jim Aparo, Paul Boyette, Bill Lignante, and Don Sherwood are still fondly remembered. However, the true-blue enthusiasts invariably mention Don Newton above them. Newton had a dramatic flair which-truly captured The Ghost Who Walks. His ability to capture the moods of The Phantom (especially The Phantom when he was angry) was so uncanny as to be frightening. He was also a master of jungle scenery and animals and as you will see in the following two stories, action scenes. Newton was also an absolute master of brush technique and developed new ideas for lighting which have never been improved upon. Sadly, this genius did not live long enough to expand his apparently limitless talents. A failed marriage brought him despair and he tried to hide his feelings by literally burying himself in his work (Where did he get the "failed marriage" from? Don never mentioned his wife; I don't even know her name, but I do know that Don was a widower. "Despair"? He had Tony, the love of his life. He had his teaching. He had this bright career in the pros. Isn't that enough to keep him from despair? HS) . For years he worked almost around the clock, neglecting his health (Actually, Don was a "health nut," always trying to perfect his body. BK). Finally, he suffered a massive heart attack and was laid so low pneumonia set in. Don Newton died officially from a cardiac arrest at only 43 years of age (Don was 49 when he died. BK). That, most, but not all, of his work remains is some sort of a blessing. Unfortunately, so much of his work was ghosting for other artists and after all these years, it is next to Impossible to compile a full chronology of his entire credited and uncredited work. Newton, it must be remembered, was so skilled at duplicating the styles of so many artists that even some of the original penmen can no longer remember whether sections of their output are by their own hand or by the mercurial Newton (Don did a very small amount of work as C.C. 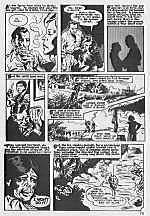 Beck's ghost, and when working with Dan Adkins reworked a couple of pages of Master of Kung Fu as described in detail on the Marvel page, but that is it. Don was fairly good at imitating other's styles, but he never did it for a living BK). I hope that wasn't too painful. Jim Shepherd also had an article on Don in issue #1046, but most of it was based on an interview in "The Collector" #16, so, for the most part, it was factual. Jim confused the fan strip "The Savage Earth" for a professional strip (he called it "This Savage Earth") and he had Don winning an award that neither Howard nor I think he won. Other than that, he got most of the facts correct or close enough to the truth that I'm not going to dispute them here. Despite all of the factual errors, it is obvious that Jim Shepherd recognized the enormous talent that Don had and Jim has done an awful lot to bring Don the recognition his Phantom work deserved. 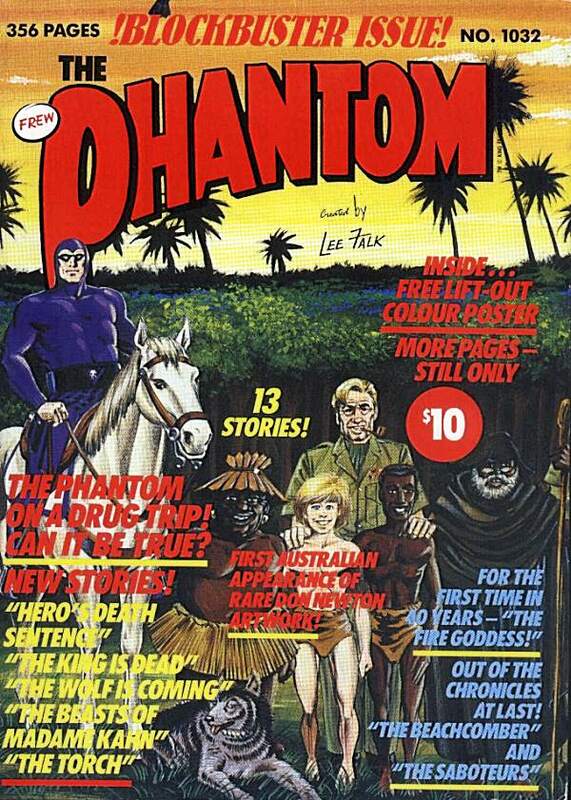 If you have in interest in learning more about Frew, check out Bryan Shedden's excellent "The Phantom: A Publishing History in Australia" for the full details. The Phantom and associated likenesses and characters are copyright 2000 by King Features Syndicate, Inc., The Hearst Corporation.